Welcome Home! Words everyone longs to hear. Barracks22 welcomes warriors to their new home. Making the adjustment from warrior to citizen- Barracks22 is a transitional group setting, where veterans live in a safe structured environment with the familiarity of military service while learning to transition into the new life of their choosing. Facing the physical, psychological and spiritual wounds of war and of life, should not be done alone- Within the community they can find direction for life skills training job training, connections and support navigating the VA system as well as support from other organizations. Located in the heart of Taunton MA, with a GATRA stop out front that helps our veterans get on track in their new life direction. 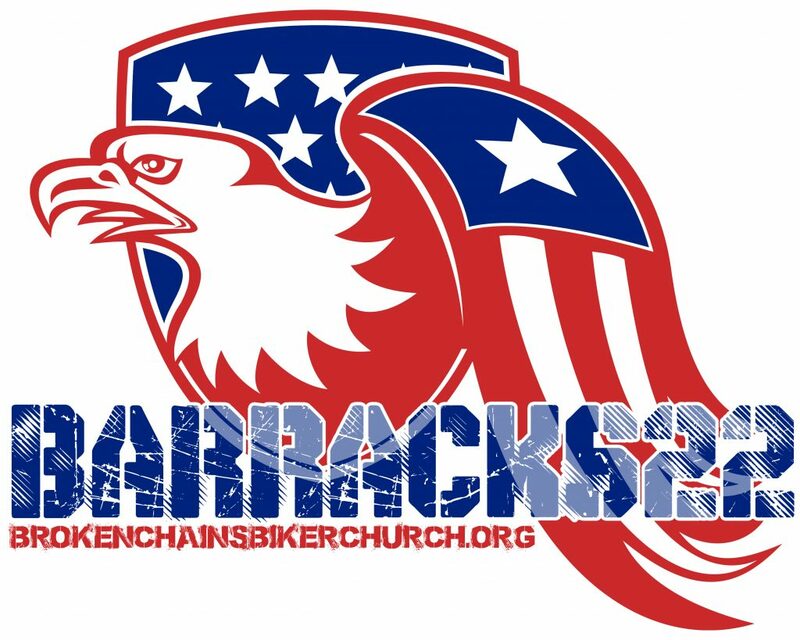 Barracks22 is part of the vision; The Mission of Broken Chains Biker Church. Barracks 22 in conjunction with BCBC is designed to listen and encourage, relate and empower, promote self-care and future vision and provide real brotherhood and community.  11 heavy duty single beds, night stands, reading lights, chairs and bureaus.  Family room furnishings including TVs.  Kitchen Furnishings ie. Silverware, pots pans and dinnerware.  Handicap shower surround, toilet, and sink for the downstairs full bathroom remodel.  roof leak found and fixed.  We need several replacement windows donated and installed.